Learn about the history of sugar, the difference between refined and natural sugars, and sugar alternatives (artificial sweeteners). We also discuss how sugar interacts with the body and both the positive and negative ways it can impact health. 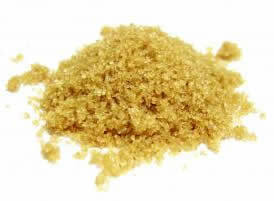 It is believed that cane sugar was discovered before the birth of Christ. As early as 500 B.C., India was said to have a reed which gives honey without bees. 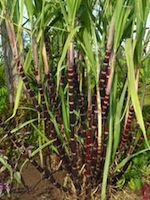 This reed would later become known as sugar cane. The invasion of Arabs into India nearly 1,000 years later in 642 A.D. led to the spread of sugar cane to the rest of the world. The Arabs discovered sugar cane and learned how it was processed by the Indians. They brought the cane with them as they conquered much of Europe, introducing it to lands such as North Africa and Spain. For many years, however, the rest of Europe was stuck with honey, because sugar did not make it to the west until the crusades. The first record of sugar in England occurs in the year 1099. Sugar was brought to the Americas by Christopher Columbus. At the time, sugar was processed by boiling the cane juice and then harvesting the crystals left behind after the water evaporated. These crystals contained protein, fiber, vitamins, and minerals. While they were calorie dense, they provided essential nutrients. It was not until a few centuries later that the process of refining sugars, and stripping out many of these nutrients, was perfected and sugar became a profitable industry. It is interesting to note that raw sugar is already refined. Only sugars from evaporated cane juice can be classified as truly ‘raw’ or unrefined sugars (of the cane variety – sugars can come from other sources as well, such as beets and fruit). Once the cane juice crystals are harvested, they are washed, boiled, centrifuged, filtered, and dried. The purpose of this is to remove all of the original plant materials (stalk, fiber, etc.) to produce the pure sugar. This process removes most of the fiber and nutrients that existed in the original crystals. The sugar then becomes refined, and is now a food high in calories with little nutritional value. Several centuries ago, refined sugars were expensive to produce, and were also taxed at a higher rate. Therefore, only the affluent could afford them. Refined goods became a symbol of status. People who had access to these foods were called ‘refined’ people. Interestingly, this affluent sector of the population also had a disproportionate rate of disease and illness as compared to the lower classes that only had access to unrefined, natural foods. There appear to be references to the evils of sugar as early as the 1800s when rations in the military were compared to standard civilian meals and it was determined that refined foods had a potentially negative impact on health. What sugars are considered natural? A few natural sweeteners include: barley malt, evaporated cane juice before it is refined (refined sugar is derived from cane juice, but is extremely processed with many of the natural enzymes, vitamins, minerals, and fiber removed), fruit juice (fructose), rice syrup, honey, and sugar alcohols. All-natural maple syrup is not only flavorful, but rich with iron and other micronutrients. Sugar alcohols have a ‘sweet’ taste but are processed by the body as alcohol. This means that they are typically burned for energy and have a minimal impact on insulin and blood sugar, according to the latest studies. They are not known to be toxic like non-sugar alcohols. 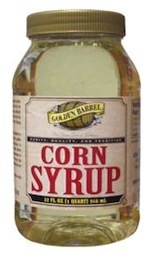 There is some confusion about what high fructose corn syrup (HFCS) actually is. You will find that the majority of processed foods contain this as a main ingredient. It is difficult to find bread in the supermarket that isn’t made with HFCS, and most sodas, treats, and non-natural juices contain this as well. HFCS is much sweeter than table sugar, which is one reason for its popularity in the food industry. HFCS can be misleading to consumers who are aware of natural sugars and the glycemic index. Knowing that fructose is a natural fruit sugar and low on the glycemic index, they may assume the HFCS falls under the same category. HFCS is actually hydrolyzed cornstarch, which means that cornstarch is mixed with enzymes and broken down. A chemical in the cornstarch converts some of the sugar in glucose form to fructose. The end result only contains 14% fructose – the rest is dextrose and other sugars and carbohydrates (so it is hardly ‘high’ fructose, it is only ‘higher’ in fructose than other corn products). HFCS has a glycemic index of 89, which is only slightly less than that of table sugar (92). In contrast, milk sugar (lactose) is 65 and natural fructose is 32, or almost 1/3 that of HFCS. We’ve determined that simply avoiding a sugar because it is a sugar has no real scientific foundation. One problem with sugars, however, is that many products add an extremely high amount of sugar to sweetener the products. This, in turn, causes the product to be higher in calories. Because consuming more calories means you must expend more calories to reduce or manage your weight, this can be of concern. There are 6 major reduced calorie sweeteners on the market today. This was introduced in 1967. It is 200 times sweeter than table sugar (sucrose). According to studies, this sweetener is not absorbed in the body but passes through unchanged. How many studies? Around 90 studies have been conducted on this sweetener, with no documented health risks. The Center for Science in the Public Interest (CSPI), however, reports that the product can break down to acetoacetamide. This chemical has been shown to affect the thyroid in rats, rabbits, and dogs. Administration of 1% and 5% acetoacetamide in the diet for three months caused benign thyroid tumors in rats. This was introduced in 1965. 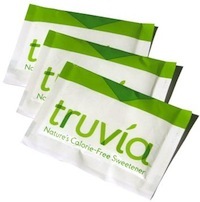 It is a low-calorie sweetener that is also 200 times sweeter than sucrose. Aspartame is made from two amino acids (the building blocks of protein): L-phenylalanine and L-aspartic acid. More than 200 studies have been performed and the only documented health risks are to people who suffer from phenylketonuria (PKU), who cannot metabolize the L-phenylalanine. This is why there is a PKU warning on any product that contains aspartame. While there are no conclusive, formal, documented cases of adverse health affects, many people report headaches after consuming products that contain aspartame. There is a large body of literature documenting adverse health issues arising from aspartame use (source). Other adverse affects that consumers have reported (but have not been independently verified) include seizures, dizziness, tremors, migraines, memory loss, slurring of speech, confusion, fatigue, depression, nausea, and worse. Because children lack a ‘barrier’ of protection that prevents the wrong nutrients from entering the brain (which adults have), some doctors have recently suggested that aspartame should not be given to children. Saccharin was discovered 100 years ago. It is a low calorie sweetener. It is one of the most studied ingredients in the food supply. More than 30 human studies have been conducted with saccharin, and no adverse health effects have been reported. In 1997, a study using rodents reported a rise in bladder tumors, although this may be related to an increase in sodium and other products that were contained in the experimental diet. The CSPI reports several studies that may indicate a rise in tumor activity that correlates to saccharin intake. This is a plant that originated in the rainforests of Paraguay. Stevia is up to 300 times sweeter than sugar, does not impact blood sugar and has zero calories. The leaves have been used for over 1,500 years by the Guarini Indians of Paraguay. It was discovered and introducd to Europe by M. S. Bertoni in 1899. While Stevia has since become a very popular sweetener because it is “natural,” the FDA has yet to approve it as a food source – it remains classified as a dietary supplement. (Splenda) is a non-caloric sweetener made from sugar. It was discovered in 1976. A sugar molecule is modified to replace a hydroxyl (water) group with a chloride (chlorine) group. This creates a product on average 600 times sweeter than table sugar, which theoretically will pass through the body without being metabolized. Over 100 studies have been conducted using sucralose in order to approve it as a food additive. Also known as lo han guo or Buddha fruit, it is similar to stevia, but also is loaded with antioxidants. Adds no calories while adding a sweet taste. 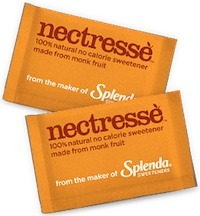 It is the basis of the new sweetener called Nectresse. Find out which artificial sweeteners are used in sugar free energy drinks. Does Sugar-Free Have any Effect? Do sugar free foods really help to control calories? I know many people who will avoid sugar like the plague, then purchase a box of sugar-free brownies and eat the entire box. What are they trying to achieve? Sugar-free may imply ‘reduced calorie’ but when you over consume reduced calorie foods, you still create a problem! Do sugar-free brownies fit into a lifestyle, or are these a quick fix? Adding one teaspoon of natural sugar to a bowl of oatmeal will add four grams of sugar or 16 calories and barely impact the rate at which that food is digested and released to the bloodstream (remember, your liver won’t know if the glucose molecule it is processing came from the oatmeal or the teaspoon of sugar). Remember the glycemic load? This would have a low load! Adding one teaspoon of an artificial sweetener won’t add any calories – but will introduce a new realm of possible side effects. On the other hand, if you avoid healthy food choices such as fruit due to the sugar content, you also miss out on thousands of vitamins, minerals, and phytochemicals that don’t exist in any tablet or pill on the market – and have documented health benefits rather than risks! Oranges can reduce the risk of stroke. Bananas promote heart health by providing a tremendous amount of natural potassium. The list goes on and on. All carbohydrates are technically sugar. Before your body will use the carbohydrate in table sugar, a baked potato, or a green bean, it must break this carbohydrate down to glucose, the form of sugar that your body can ‘burn’ for energy. Glucose is also stored as glycogen in the muscle cells. So, since all carbohydrates eventually end up as a sugar, the mere fact that they begin as sugars is irrelevant. So what is relevant? The rate at which the sugar enters the bloodstream, which is exactly what the glycemic index measures. Does Sugar Get Stored as Fat? Another concern some people express is the ‘ease’ at which sugars are converted to fat. I read one ‘system’ for getting into shape that did not offer scientific evidence, but claimed that in working with extremely lean body builders, the author figured out that sugars cause fat to be stored quickly and easily. Other books simply state that sugar is quickly and easily converted to fat. Again, we have to understand our biological systems to analyze those statements. How does a sugar get stored as a fat? The liver processes the glucose molecule and turns it into a triglyceride, or fat molecule. This, again, complicates matters: whether or not you eat table sugar or a green bean, guess what? By the time your liver ‘sees’ it, it has been broken down to a glucose molecule. There is no practical way that your liver somehow ‘knows’ that the glucose molecule came from a green bean instead of a grain of table sugar, except that your entire body benefits from additional nutrients when you consume the green bean. The glycemic index demonstrates that refined sugars are indeed dangerous – they have some of the highest indexes on the list. Many manufacturers use a ‘complex carbohydrate’ called maltodextrin to sweeten shakes. They can state ‘no sugar’ or ‘low sugar’ on the nutrition label because maltodextrin is a complex carbohydrate, but it will impact blood sugar more than table sugar (table sugar is sucrose, which, by the way, is not a simple sugar – it is two molecules, glucose and fructose, bonded together). 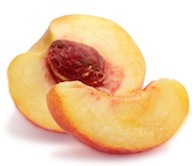 How do natural sugars fare? Fructose, the type of sugar commonly found in fruit; lactose, the sugar found in milk; and honey, the sugar produced from nectar by bees, all fare very well. In fact, if you are simply concerned about blood sugar, these three sugars will affect it less than brown rice, whole wheat bread, and baked potatoes! Sugar has received a bad reputation lately – not just refined sugars, but all sugars. Many people go out of their way to avoid sugar in the diet, without understanding how sugar affects health. Artificial sweeteners are a common substitute for sugars, but are these synthetic chemicals truly safe? For many people, sugar-free and fat-free food is an artificial ‘crutch’ – comforted in the knowledge that their food contains no sugar or fat, they over consume this ‘safe’ food. In the end, sugar may not turn out to be the enemy that many people claim it is. There are a few reasons why sugar has a bad reputation. For one, refined sugars provide easy food for oral bacteria, and can promote cavities and the accumulation of plaque. There is also a prevalent belief that all simple carbohydrates are bad. In reality, the digestive system is very complex and there is more to consider than just the number of molecules chained together in a food – one must consider enzymes, where the food is processed in the body, and what changes take place to the food before the body utilizes it. Sugar is certainly not your enemy. Refined and processed sugars are! Consume a protein and a whole, unprocessed carbohydrate with every meal, and add healthy fats to your diet. If these meals happen to contain some natural honey or cane juice, don’t sweat it! Eat 4 – 5 servings of fruit and or vegetables each day – there are far too many healthy compounds in these foods to pass them up out of fear of the natural sugar contained within. Make your own choice about artificial sweeteners, but keep in mind that you can easily control your portion sizes and use natural sweeteners instead. Are the potential risks worth the small benefit you may or may not be receiving from artificial sweeteners? Learn to let sugar work with you, not against you! Hi I think this article would do good for people. this is not what we are looking for ! This is a “must know presentation”for every person!!! A comprehensive, but concise, reading of the facts on all kinds of sugars and sweeteners. Thank you for this article!! !